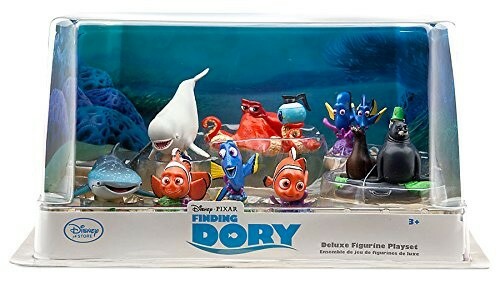 She can play out her own Finding Dory stories again and again with this 9-piece deluxe figure set! 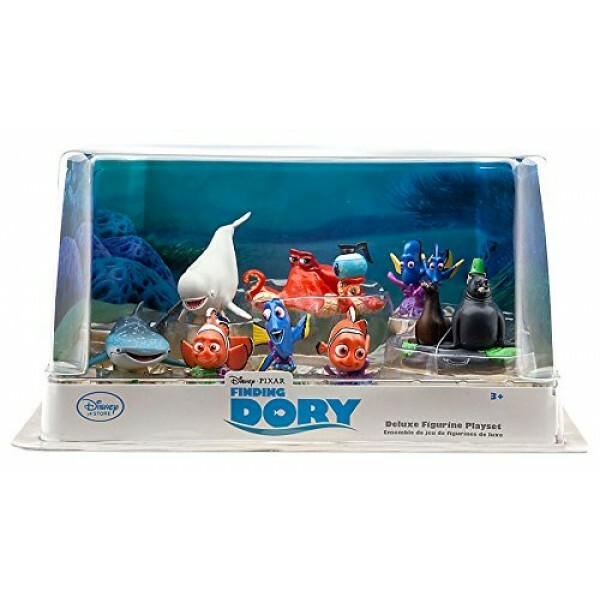 The set includes figures of Dory, Nemo, Marlin, Hank, Bailey, Destiny, Jenny and Charlie, Rudder and Fluke, and Gerald. Many of the figures feature a built-in stand, so your characters will look like they're swimming. It's the perfect choice for any Dory fan!